Melanomas kill more than one American every hour! Melanomas can occur on any area of the body, not just sun-exposed areas of skin. They are usually pigmented, with a variety of colors, mostly shades of black, but can be purple, brown, tan, reddish, or even without color (the relatively rare amelanotic melanoma). When diagnosed and removed early, melanomas are highly curable. When left to later stages, they are often fatal, with a very low five year survival rate. Although much research is being done on melanomas, early diagnosis and treatment is the mainstay to keep a patient alive. 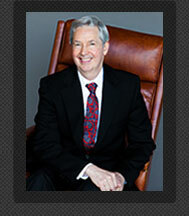 Dr. Kaminester prides himself on doing a complete skin exam on his patients. He was the first dermatologist to publish about the importance of a complete skin exam in a major U.S. journal. Dr. Kaminester looks over his patients while wearing a magnifying loop, with the goal of discovering any suspicious melanoma or pre-melanoma as early as possible. 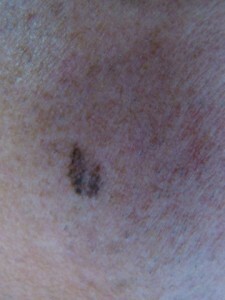 Melanomas can vary greatly in appearance. Small changes in color, size or shape may go unnoticed by the patient. This is another reason to let an expert like Dr. Kaminester closely examine such skin growths. A visit to Dr. Kaminester for his thorough skin exam could save your life, as it has for hundreds of other patients over the years. There is always a chaperone in the room for such examinations. While this exam is not compulsory part of the visit, it is offered at no extra charge. Dr. Kaminester gives his patients many educational pieces of literature, brochures, pictures, etc. so that they can self- examine their own skin and bring to his attention any suspicious growths or lesions they have seen themselves. Melanoma can be life-threatening and has a fatality rate higher than those for basal cell and squamous cell cancers – it accounts for more than 80 percent of all deaths from skin cancer. 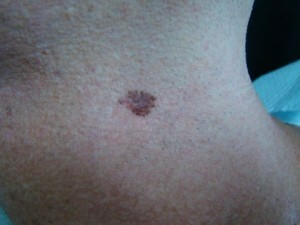 Of the estimated 50,000 new cases of melanoma diagnosed each year, about 8,000 result in death. Yes. Surgery usually removes all traces of cancer when melanoma is detected early in its development. The survival rate drops once cancer has spread to the lymph nodes (30-40% after five years) and again when it begins to impair the major organs (12% survival after five years). 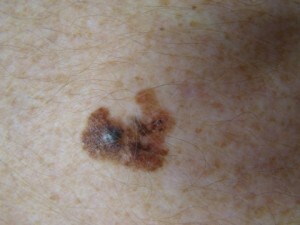 Regular full-body exams supplemented by self-examination are the best way to find melanoma in its early, curable stages. To self-examine, simply stand in front of a mirror and look over your body with arms lowered and then raised, making sure to pay particularly close attention to the forearms, upper underarms, palms, backs of the legs, tops and soles of the feet, and between the toes. Hand mirrors are useful for searching the back of the neck, scalp (parting the hair), back and buttocks. Dr. Kaminester will give you a booklet describing such self-examinations of your skin. Make an appointment with Dr. Kaminester! The presence of cancer can only be confirmed with a biopsy, and early detection greatly increases the likelihood of cure. Treatment for melanoma depends on the tumor’s location, thickness and progression as well as the patient’s age, health, medical history and preferences. A biopsy is often performed to determine the extent of the cancer. Most often, the appropriate treatment is surgery, followed by adjuvant therapy (interferon, vaccines) for patients at great risk of metastasis (spreading of cancer throughout the body). Other common options are chemotherapy, radiation therapy (x-rays, gamma rays, radioisotopes) and biologic therapy (interferon, cytokines, monoclonal antibodies, vaccines) to improve the body’s self-defense abilities. Early diagnosis and treatment is the key to a successful outcome and Doctor Kaminester is excellent at finding such early melanomas.